Notes: A classic piece of the 70's. This album, along with Don Kirshner's Rock Concert on the TV, brought about a whole new level of theatrical rock n' roll performance. No longer was it good enough to stand about the stage in your jeans and T-shirt playing extensive solos. Now there were snakes and monsters and blood, oh my. Oh, and the music wasn't too shabby either. A few tunes from this album went on to travel with Alice through the years. I remember the how strongly I felt imagery of Desperado when the record first graced by turntable (all of 14 or so). 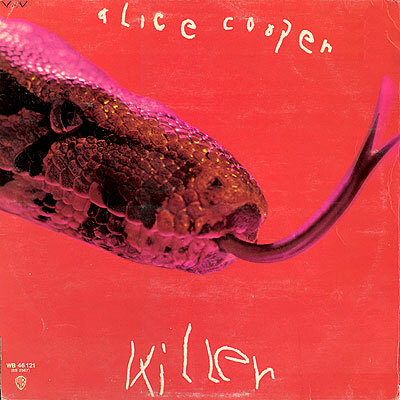 My taste for Alice waned after the first few records, but this one still comes up in rotation every now and then. 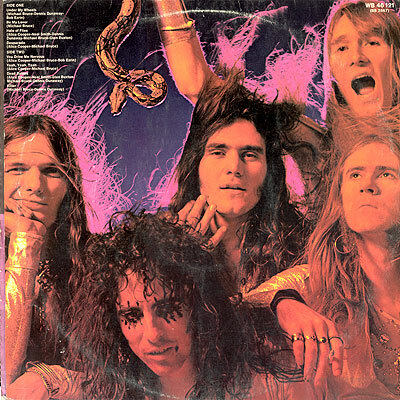 And being the owner of both a boa and a python in college, I wonder how much this cover had to do with it.